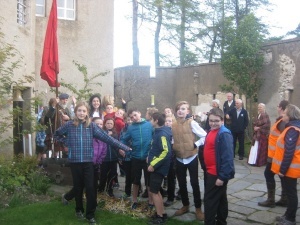 Enjoy a very special experience of the Castle as our local primary school pupils welcome you and guide you round the Castle. The youngsters will inherit the care of our community run Castle and are hugely enthusiastic about their legacy. Since the community took over, the local children have been encouraged through various projects to feel part of the Castle and they look forward to sharing stories with visitors.